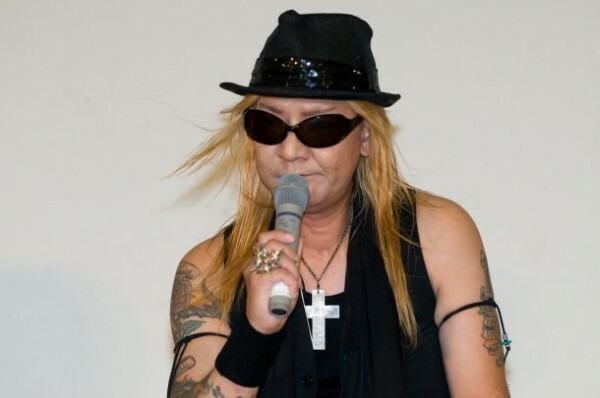 A former member of rock group "X" (X JAPAN at present), Sawada Taiji (a.k.a TAIJI) was arrested because his violent acts while on a air plane that was headed toward Saipan, disrupting the crew's work on July 11th. According to the Consular Office of Japan in Saipan, Sawada attempted suicide while being restrained in the early evening of July 14th. �Though he was transported to the Intensive Care Unit at a hospital, he is still�unconscious. Local media reported that Sawada was arguing with a female passenger, and is suspected for acting violently, as he hit the air plane window, and kicked the front seat on the air plane heading to Saipan. �Reportedly, he also kicked a female crew member who was trying to stop him. Sawada was under restraint on the air plane, and was arrested as soon as the air plane arrived at Saipan. �On July 13th in the afternoon, he was ordered to appear in US federal district court for the first trial. �The second trial was scheduled to be�occurred in the morning of July 15th. Sawada Taiji joined "X" in 1986, and he had take a part as the bassist until his�withdrawal�in 1992. �He has been active in some bands, such as LOUDNESS, D.T.R., TAIJI with HEAVEN'S. �He also joined X JAPAN's concerts at Nissan Stadium which was held on August 14th and the 15th in 2010, as a guest, and showed his great performance in front of�full house�audience.